Located at Mae Wang, about 40 km from Chiang Mai city; directly at the foothills of the Doi Inthanon National Park, in a very nice and quiet place, surrounded by a spectacular mountains view. 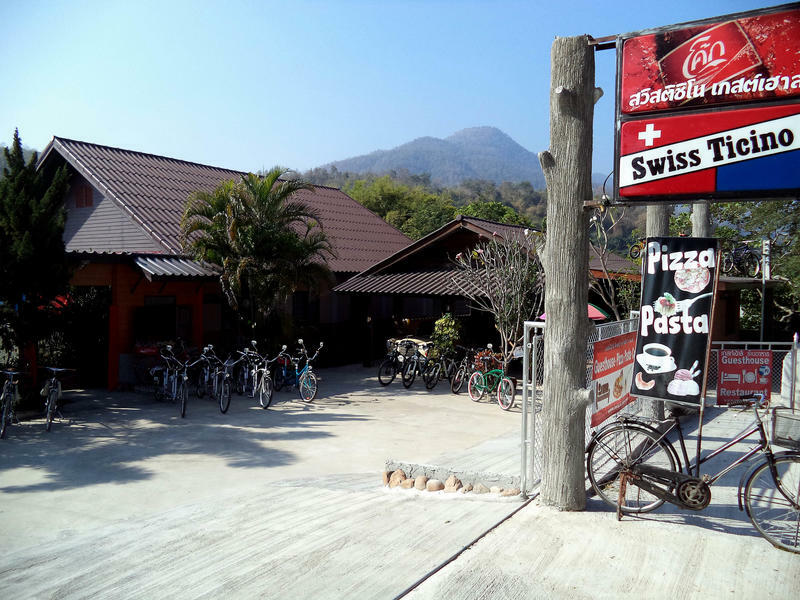 At Swiss Ticino we serve very tasty Ticinese and Thai food dishes and our simple and comfortable rooms will make you feel at home. For your pleasure also available a very relaxing 18 holes Minigolf. Nearby our place you'll can find several attractions; 3 elephant Camps, the Mae Wang and Na Sa Pok waterfalls, the Hilltribe villages of Karyan, Hmong and Meo ethnic people. Nice typical Buddhist Temples and of course the Doi Inthanon National Park with his highest peak of Thailand at 2560 m asl and, for the most adventurous the Mea Wang river rafting. With our local cooperators, we also have a selection of discovering Tours for Chiang Mai area and the Northern Thailand, including Mae Sai (Boarder with Myanmar), the Golden Triangle at the Mekong river and more. 24 km from Chiang Mai city in direction Sanpatong and about 16 km from Sanpatong to Mae Wang. About 3 km from Mae Wang Police Station, District Hospital and Government Offices.